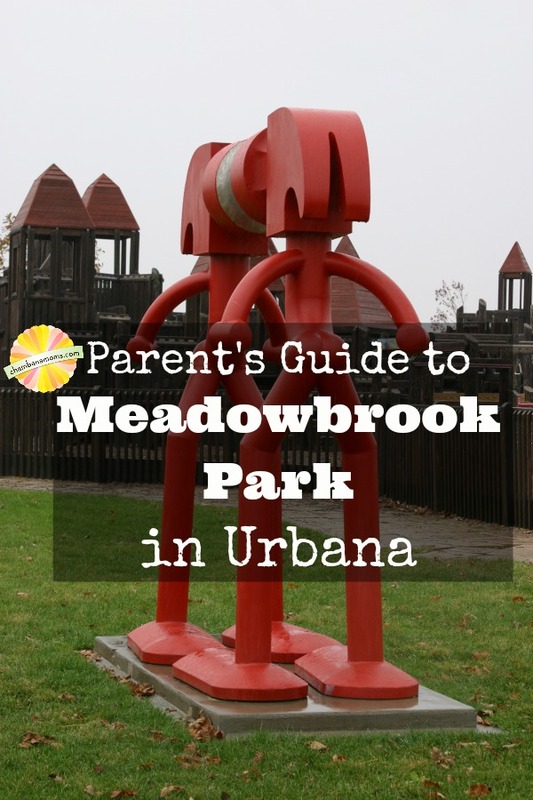 Thanks to the Urbana Parks Foundation for sponsoring our Parent’s Guide to Meadowbrook Park in Urbana. Great parks build great communities! UPF recently launched a $2 million fundraising campaign titled Campaign for the Next Century. 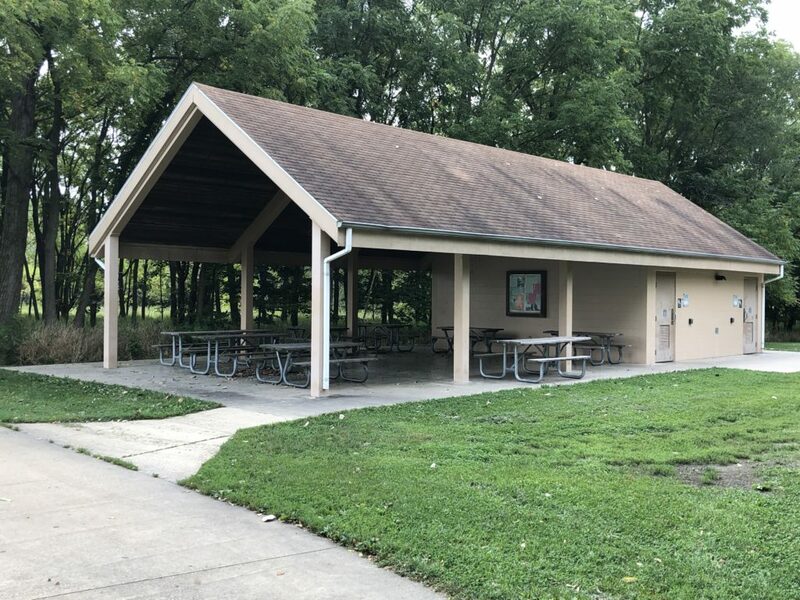 The campaign seeks to build on more than a century of generosity from individuals, businesses, and civic organizations by supporting a variety of Urbana Park District parks, programs and activities. 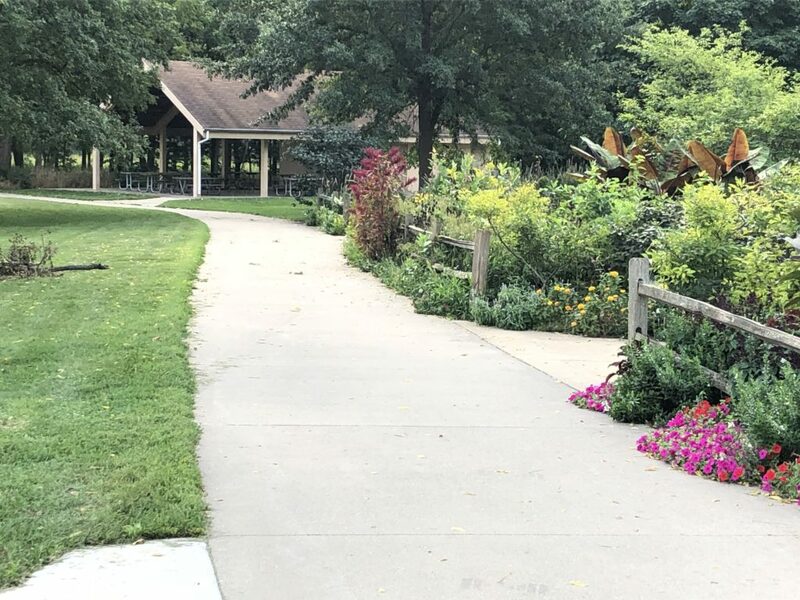 The campaign targets three specific areas of emphasis which include the Urbana Parks Endowment, Crystal Lake Park, and Youth Scholarships. These areas of support align with UPF’s mission to strengthen the local park system and enhance the health and vibrancy of the community. Gifts for other purposes or projects are also welcome. 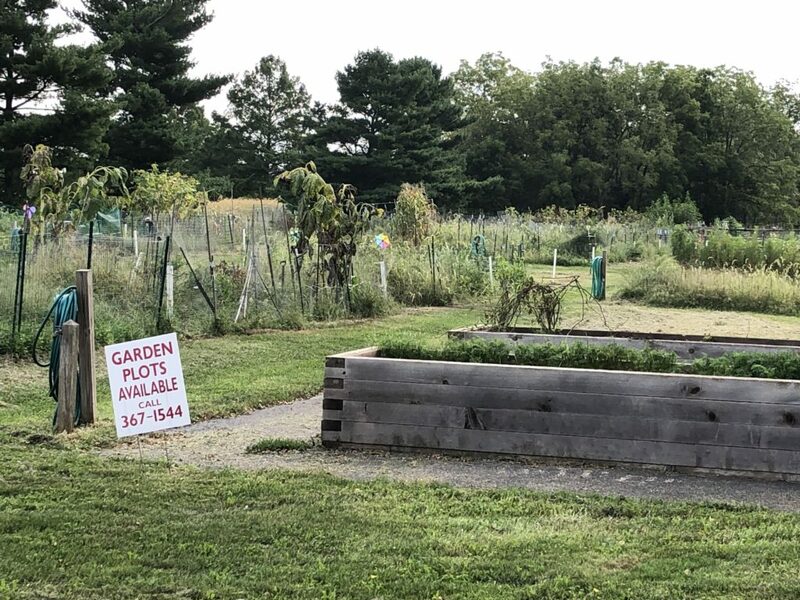 Whether you live in Urbana or a surrounding community, you can make a positive impact on Urbana’s parks by donating today. 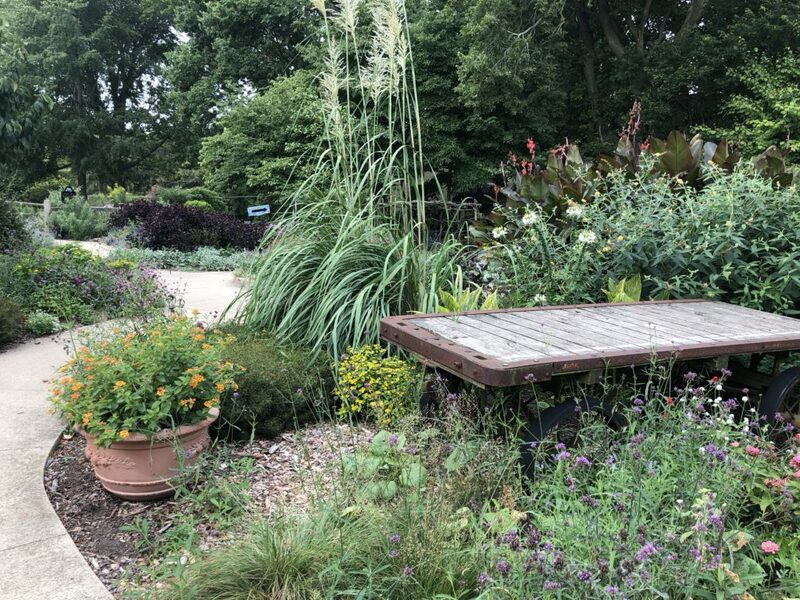 Driving down Windsor Road through Urbana leads you right past one of the most captivating outdoor spaces Champaign-Urbana has to offer. 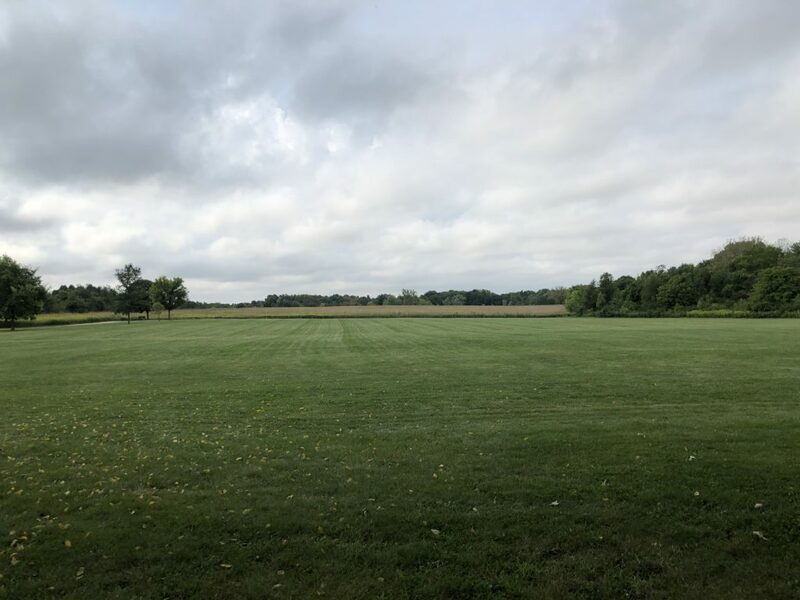 You may not be expecting this massive playground and sprawling green space to appear among the cornfields you are passing by, and you are truly missing out if you always drive past and never stop! 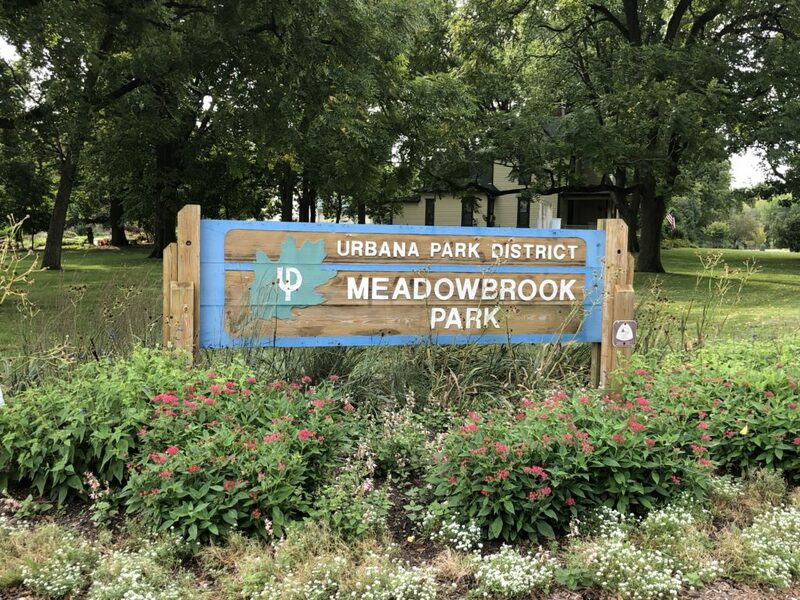 Located on the southern end of Champaign-Urbana and a short distance from the University of Illinois Campus (among the agricultural property of U of I), the Urbana Park District and other community organizations have come together to make Meadowbrook Park what it is today. Familiarize yourself and your child with the exit/entry points in the playground when you arrive for the first time. Go over ground rules. Bring the kites if it is windy. Bring bikes/scooters/strollers if you’re going to stroll. Bring a picnic to make a whole afternoon of it. Basically, bring it ALL if you choose! Don’t forget your camera. 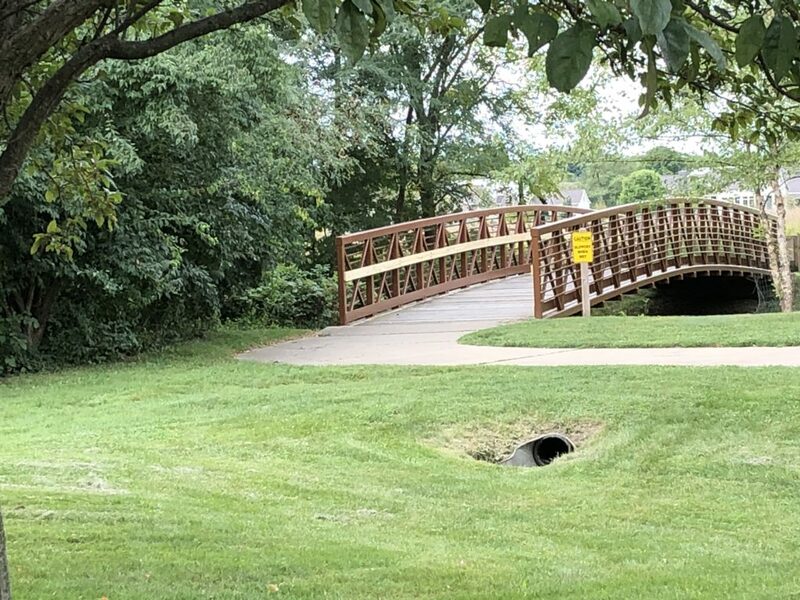 You’ll probably see a photo op or two while spending time here. Remember that you have to walk back (or do a full loop) if you find yourself wandering down the trails. Before you know it, you’ll be walking further than you planned, and if you have little legs with you, they may tire out. Decide where you want to park ahead of time, in the lot off of Windsor (for the playground) or the lot off of Race (for the gardens). 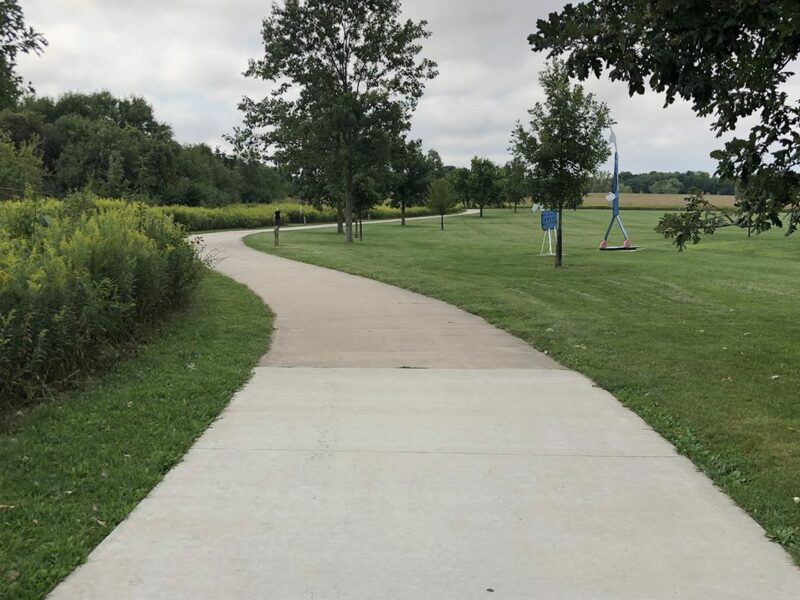 Walking paths and restrooms are near both parking lots. Before this was a park, it was a family farm. Don’t miss strolling the grounds of the gardens to enjoy the farm-feel still present today. 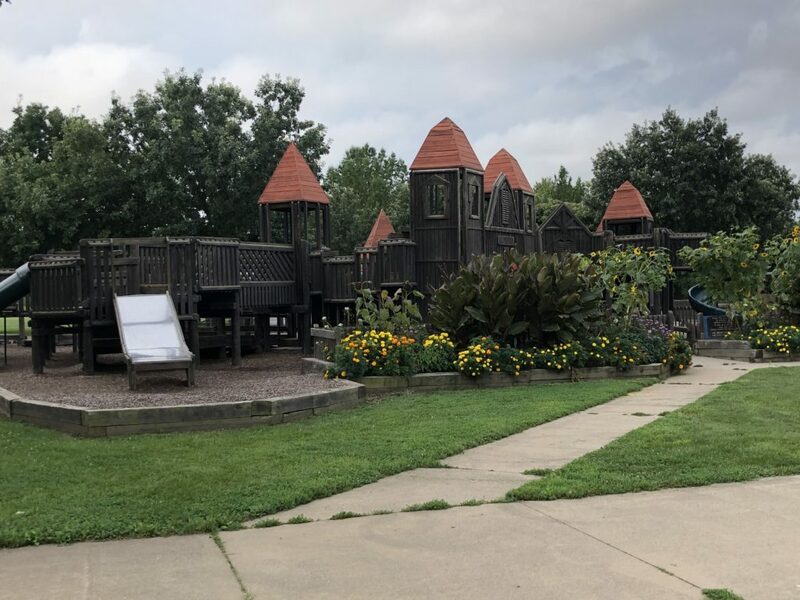 Is this park good for toddlers? Yes! 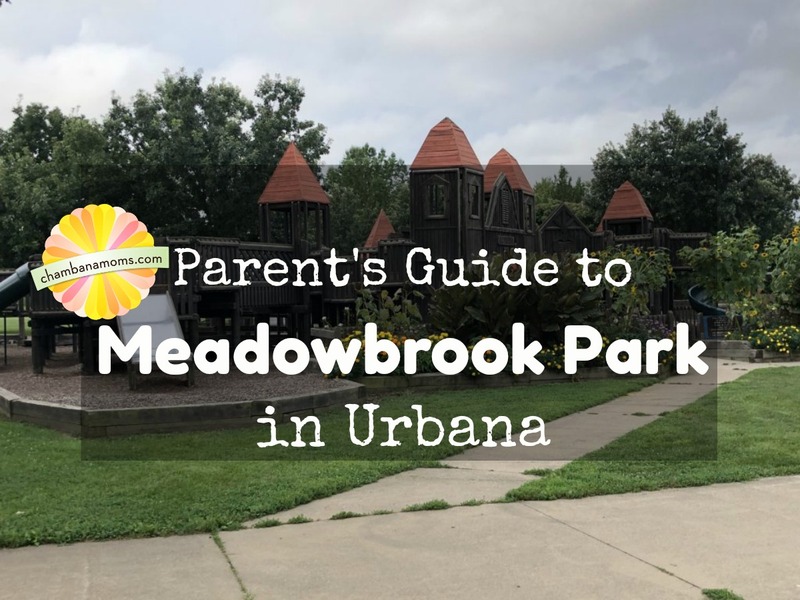 It rates as one of our “Best Parks for Babies and Toddlers” in Champaign-Urbana. There are two bathrooms, one located near each parking area. Both will serve you well. Are there picnic tables and grills? Yes and yes! And if you’re looking to rent a larger pavilion, those are available through the Park District, too. Yes, you’ll be pleasantly surprised by how shaded the walking trails are. You’ll feel like you’re deep in the woods somewhere, when really you’re just footsteps away from the heart of C-U. There are also some stretches that are in the full sun, so be prepared for that as well. While the playground is technically not very shaded, it is so tall and uniquely designed that you will be partially shaded while supervising your kids. The parking areas are not gated. You can park in one of two parking lots. There is the parking lot off of Windsor (for the playground) or the lot off of Race (for the gardens). Both have access to walking trails and restrooms nearby.